Some days it�s great being me. For example today, when I can bring you an exclusive look inside the MIA title X-Com Alliance from one of the key guys involved in its graphic design, Bob Kathman � the "Mr Texture" of Alliance, and the always controversial Enforcer. Probably my personal favourite game genre, and one that's currently woefully underutilised. And don't tell me turn based games don't sell, have you heard of a small hit called Civilisation? 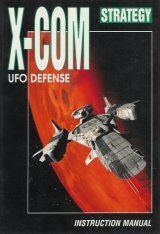 Of all the injustices committed to the X-Com franchise, losing Genesis must surely be the worst. A heavy loss indeed, but thankfully Dave goes into detail about the game and what his intended vision was. Includes actual design doc exerpts and concept art! In part two, Dave delves into the making of Interceptor and uses the magical powers of hindsight to give an honest appraisal. Also, talk of X-Com Genesis begins. In this first part of an incredible interview, we meet the man who started his X-COM legacy writing strategy guides for the first two games, went on to design X-COM Interceptor and would have brought us the now somewhat legendary X-COM Genesis if not for corporate interference. There's nothing more uncanny than a near out of body experience, especially when you stumble upon some retro gaming. Continuing my obsession with a gaming giant, it's truly an honor to have been obsessed with something of such a high quality. Even if I should have been out trying to kiss girls in real life. Some games in retrospect become clearly defined milestones in your gaming life. Always revered for the good times they brought you, in this case in the midst of the typical angst ridden years of my youth. 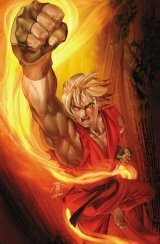 StreetFighter 2 was there when parents, siblings and society generally weren't, giving me a much needed shot of pleasure endorphins.